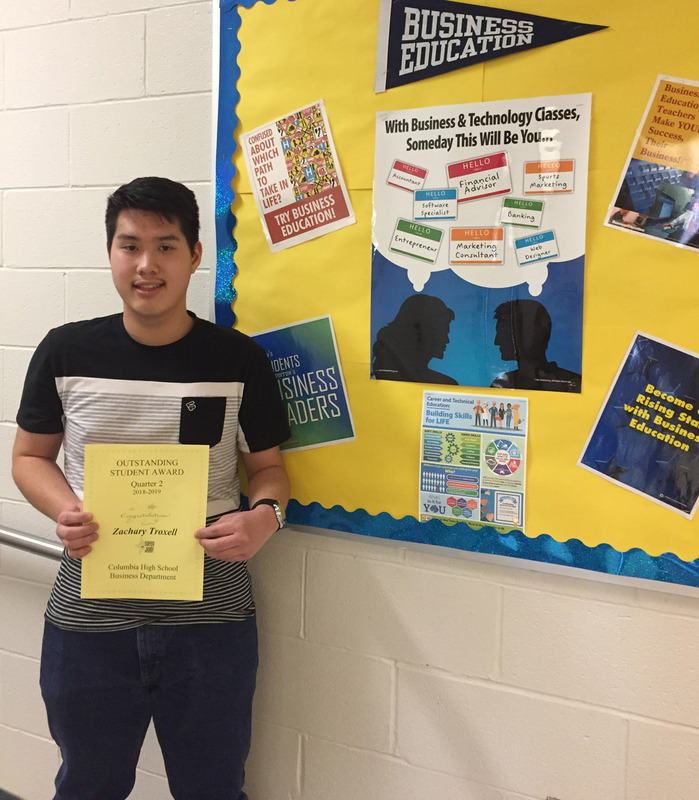 Columbia’s Career and Technical Education Department announced Zach Troxell ’19 as the Business Student of Quarter 2. Mr. Troxell was selected because of his high academic achievement and his great work ethic. Mr. Troxell was in five business classes last semester, including HVCC Business Communication, HVCC Microsoft Office, HVCC Marketing, Microsoft Word, and Business Technical Math.